Holy moly this year has been flying by!! I feel like I just rang in the new year too. Fall and winter time brings about baking season. I don’t bake a lot during the summer since it gets so hot here, but fall and winter are a whole different story. Time for me to bring out my inner Martha Stewart and head to the kitchen. Hubby has been telling me a bout a key lime pie he had at Bahama Breeze in Austin, Texas when he lived there. He just raves about this pie! I’ve never heard of the place and they didn’t have them in California where I grew up and they are not in Utah either. He said he can’t find a pie like it anywhere. Well, since he’s been gone the last two weeks I decided to make him some key lime cookies as a treat. I’m not about to compete with Bahama Breeze for that pie! Besides, the recipe wasn’t on their website anyway. I found this recipe for the cookies on the LorAnn Oils website. If you have not heard of LorAnn oils, let me give you some information. 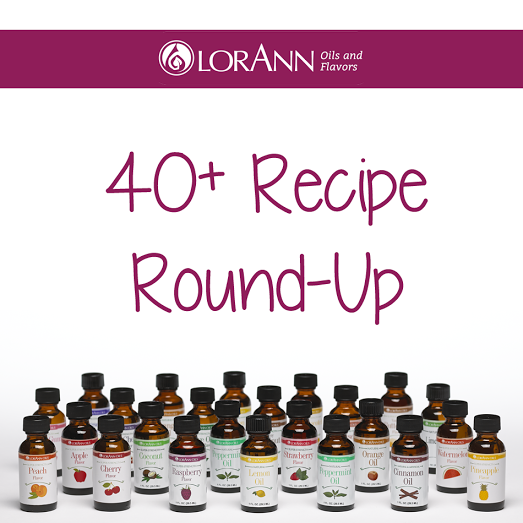 LorAnn makes highly concentrated flavored oils and emulsions in a bunch of flavors that you can use for baking, making candy and so much more. They are available for purchase on their website or at various retailers such as Wal-Mart. LorAnn has been around since 1962 and was founded by a pharmacist O.K. Grettenberger and is now run by his grandson. A nice family business!! There are a bunch of recipes on their website and I chose to make Key Lime Margarita Cookies. Don’t let the name fool you… there is no tequila in the recipe. It’s not a quick recipe either since you have to let the dough firm up for an hour in the fridge. But believe me, they were so worth the wait. Combine flour and the 1/2 teaspoon of salt in a large bowl and set aside. Place butter in the bowl of a stand mixer. Cream butter for 1 minute; add the sugar and beat for 2–3 minutes, until light and fluffy. Add egg yolk and the Key Lime Oil and beat for 2 more minutes. With mixer on low speed, slowly add the flour; mixing just until combined. Roll dough into two logs about 2 inches in diameter. Set aside. In a small bowl, stir together the 1/4 sugar, 1/4 teaspoon salt, a few drops of the key lime oil and food coloring. Mix until the green coloring is evenly distributed. Transfer topping to a small cookie sheet. Spread it out evenly. Roll each log in green topping. Wrap logs in plastic wrap and refrigerate until firm, about 1 hour. Preheat oven to 350°F. Line two baking sheets with parchment paper. If you have one very large baking sheet, that would work too. Remove dough from refrigerator and slice into 1/4 inch rounds and place on baking sheets. Bake 9–11 minutes or until just browned on the bottom (do not overcook). Cool on the baking sheet for 2 minutes before removing. Store in an airtight container for up to 3 days. For nutrition information and Weight Watcher points, click the Magic button. Call these amazing, call them pretty but especially call them delicious!! Key Lime Margarita Cookies using LorAnn oils are amazing. The oils are concentrated which means you need a lot less of them compared to an extract since they are 3 to 4 times stronger then what you’re used to from the grocery store. For example, if your recipe calls for a 1 teaspoon of almond extract, use about 1/4 teaspoon of a LorAnn almond oil. Trust me on this one. I think the cookies are great for Christmas with the green color. You can substitute cranberry oil for the key lime and use red food coloring for red cookies. Or, what the hay… make both! For more dessert ideas like the Key Lime Margarita Cookies, follow my Pinterest board. Super cute cookies! Love the flavor! Oh yum, I do love key lime anything! So pretty! The perfect finale to a Mexican fiesta. You are so welcome! Can’t wait to try more of your recipes. Oh those cookies look so good. yum, a margarita in a cookie is MY kind of cookie! Thanks for sharing your fabulous recipe with us this week at Foodie Fridays. Hope to see you again this week. I’m sure you’ll be cooking up something delicious!